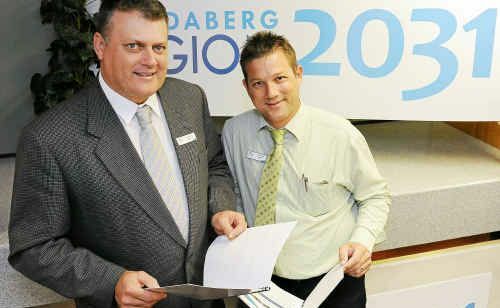 AS part of its Bundaberg Region 2031 community planning project, Bundaberg Regional Council hosted a workshop in Gin Gin on Thursday night and were buoyed by the local enthusiasm. The workshop, the first of three in this initial round of stakeholder engagement, was designed to facilitate the ideas and suggestions of Gin Gin residents who have not had an opportunity to complete a Your 2031 survey as part of the project’s engagement process. The Bundaberg Region 2031 project team developed and hosted the workshop to gauge opinions of local residents on the most desirable aspects of their lifestyles in the Bundaberg region and what long-term improvements they suggested to the council for consideration as part of the community planning exercise. Governance spokesperson Cr David Batt said even though the council had already undertaken several engagement initiatives across the Bundaberg region, the Gin Gin workshop was the first and would be particularly beneficial to council in their survey process. “We are thrilled with the response to our call for local opinions in Gin Gin, and I left there Thursday night very enthusiastic about the passion those people who attended have for their community,” he said. About 25 people attended the workshop and their ideas for priority improvements include building on a vibrant economy, sensible land use planning, improved public transport and regional accessibility and better recreational facilities to appreciate the environment. “If you agree, or believe we have other priorities to address in the community plan, don’t miss your opportunity to be involved and have your opinion heard,” Cr Batt said. Both workshops start at 5.30pm.